Ideal for intermediate learners of English looking to improve or practise their English. The book is filled with useful vocabulary that is carefully graded and easy to understand, it also comes with audio, so that you can listen to the story at the same time as reading. Fourteen-year-old Molly and her cousins Daisy and Gracie were mixed-race Aborigines. In 1931 they were taken away from their families and sent to a camp to be trained as good 'white' Australians. They were told to forget their mothers, their language, their home. But Molly would not forget. 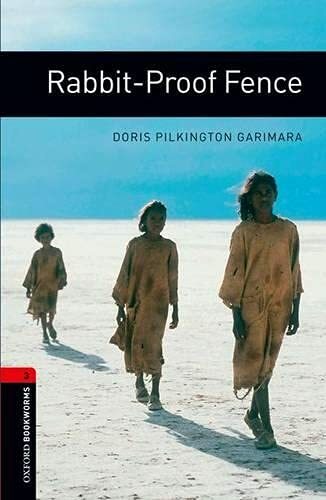 She and her cousins escaped and walked back to Jigalong, 1,600 kilometres away, following the rabbit-proof fence as their guide across the desert. This is the story of that walk, told by Molly's daughter, Doris. It is also a prize-winning film.